Organic Blooms is an organic cut flower farm near Bristol. 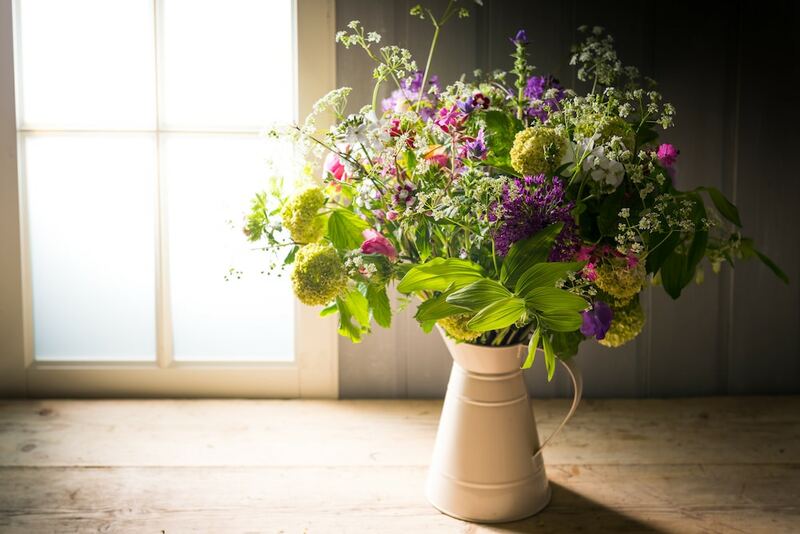 At Organic Blooms we grow and sell beautiful seasonal British cut flowers sustainably and without the use of artificial chemicals.  We were proud to achieve Soil Association organic certification in February 2017. We are also a Social Enterprise. To read more of our story see below. 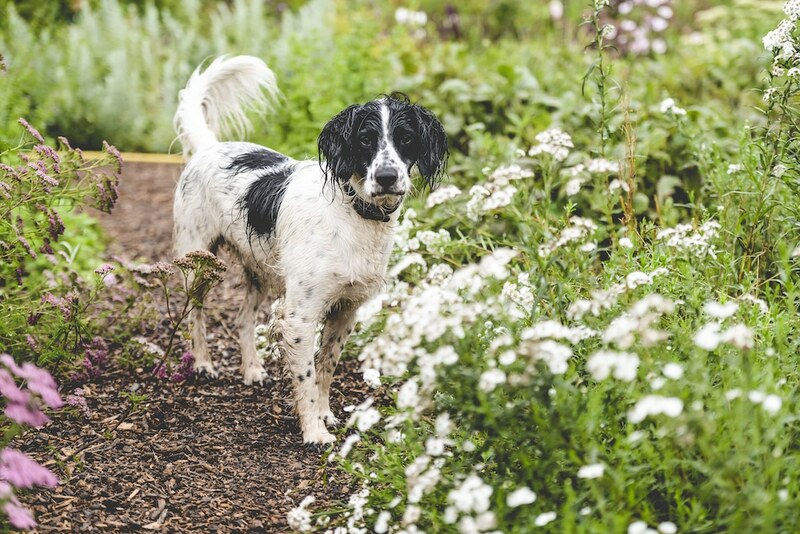 Organic Blooms has evolved from twenty years of running Horticulture Projects using plants as a therapeutic medium for people with learning difficulties and mental health support needs. It feels like the ‘coming of age’ for our organisation, where we have finally entered the real world! For years, Natureworks has run projects hidden away, doing some great horticulture with some very grateful people, but nobody knew about it…and it didn’t really help people who were isolated or depressed to break out of the ‘bubble’ that their illness or disability had created around them. 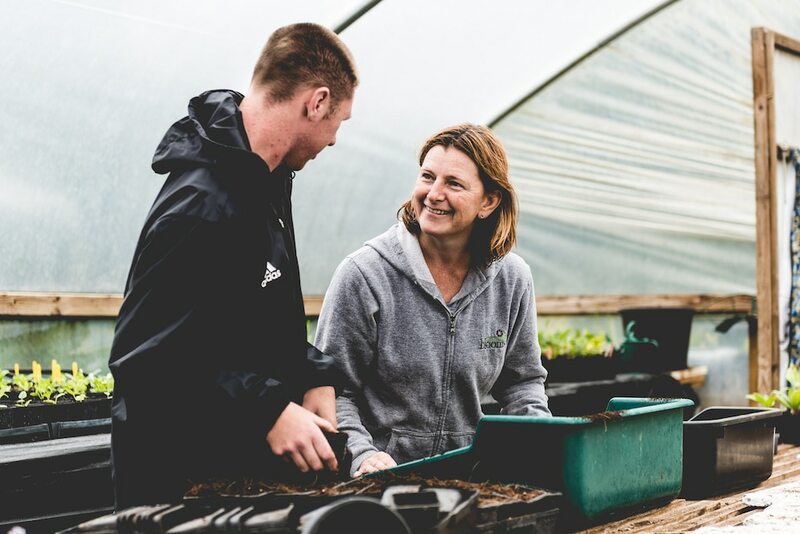 At Organic Blooms we believe that we provide the environment, the expertise, and the inspiration to enable people to achieve their potential and to overcome barriers that they face when considering training and work. 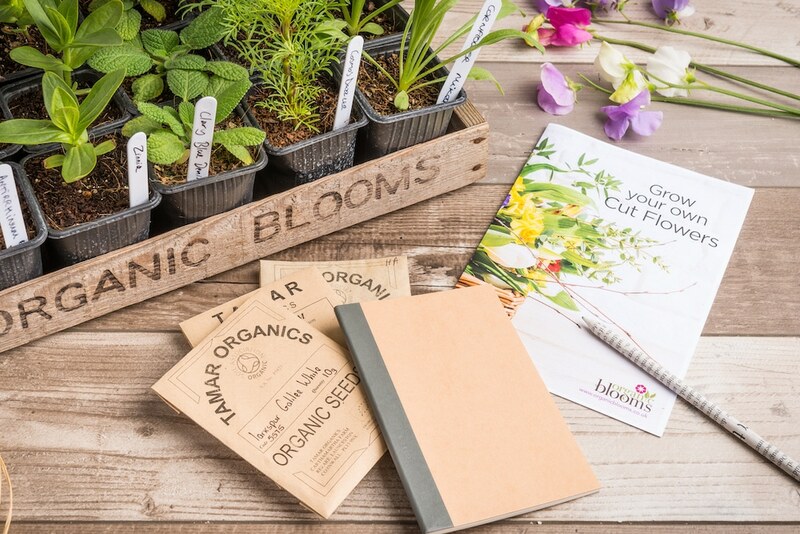 People can be referred to Organic Blooms by a health professional and if, after a trial period, it seems like the right placement, a person can spend up to 3 days a week with us, learning all the seasonal tasks that occur in a working flower nursery and florist business. We are also able to deliver City and Guilds qualifications, which are a very important step when preparing for work. Many of our trainees progress on to work in horticulture, and some are employed in our own business. In 2006, at a friend’s wedding I realised that we could have grown all of the flowers in the bouquets and arrangements at our project (British cut flowers were just beginning to make their come back) – and this was how Natureworks suddenly found a way of entering the real world, and making a much bigger impact on people’s lives – Organic Blooms was born. 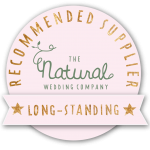 Our journey from a few beds of flowers and a few bouquets for friends in 2006, to a four acre site and national online flower sales in 2012, has been rich and varied, and is full of promise for the next six years. 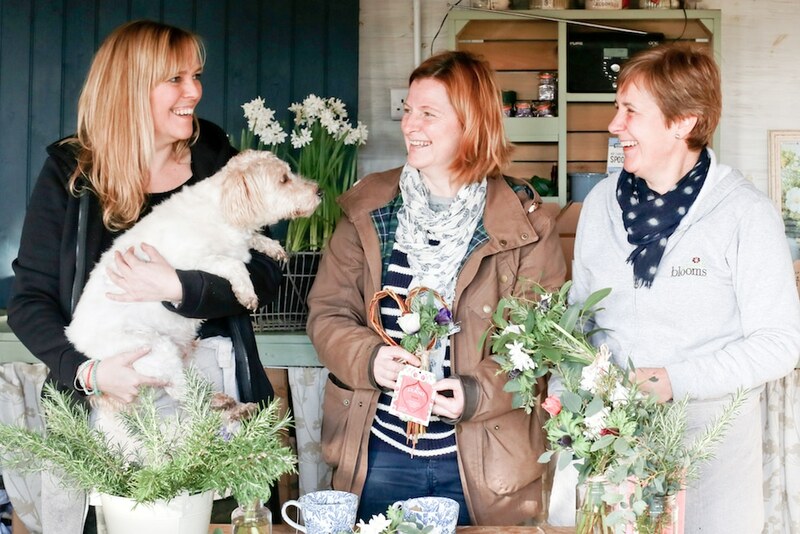 As the flowers bring in more income, we are able to create more job opportunities for our service users who may not be ready to work in a less supportive environment. Organic Blooms is more than the sum of its parts. It is about growth, about putting down roots in our local community. We are growing lives, as well as flowers, a perfect combination, and we’re sure – just as Nature intended! 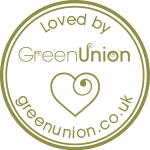 Stunning, ethical and unique wedding flowers which are also organic and locally grown. Inspired by nature, grown for you. 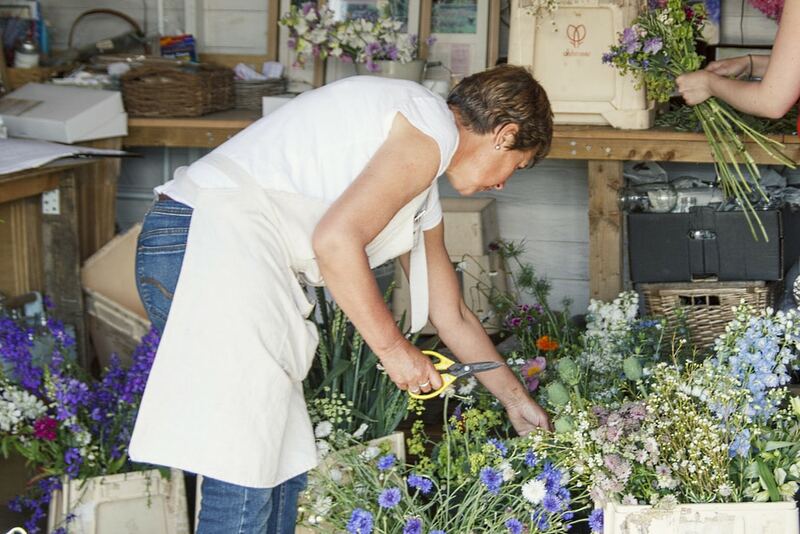 Attend one of our popular workshops at Organic Blooms to learn more about floristry and flower farming. 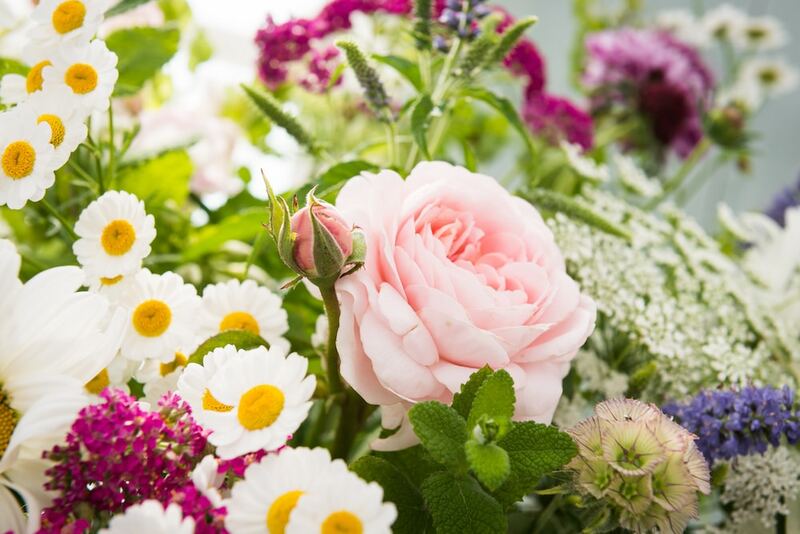 Organic flowers, including flower meadows, cut flowers, bouquets and flowers for weddings, events and funerals. 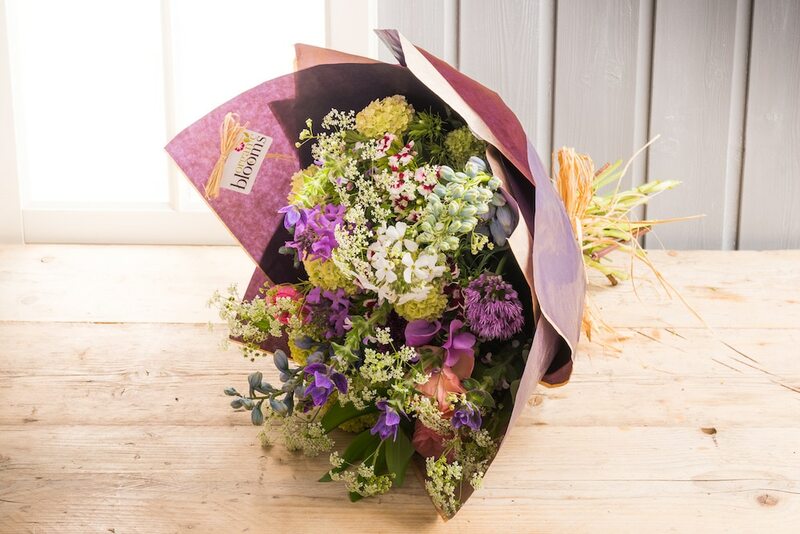 If you love cut flowers, care about where they come from and how they are grown, then a stunning bouquet of British cut flowers from Organic Blooms could be just what you’ve been looking for!